This eight-story complex houses six court rooms and combines all operations of the district attorney’s office under one roof. 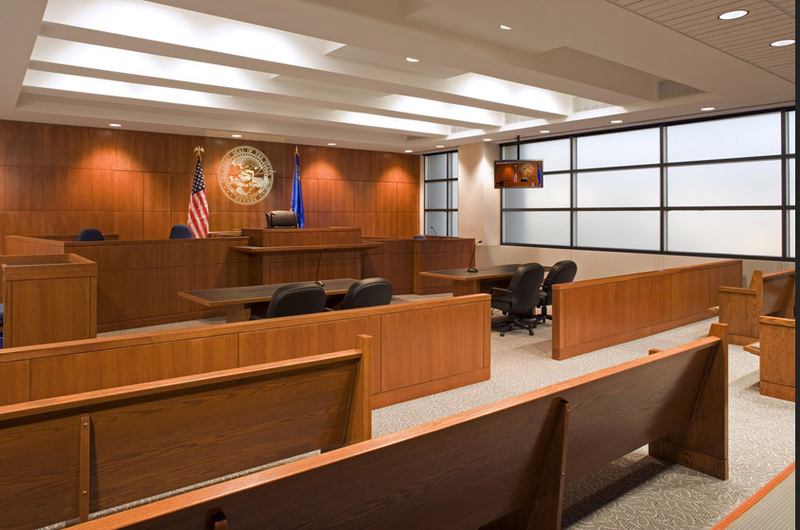 The design effort has resulted in a functional, safe, and efficient environment that exceeds current requirements for courthouse security. The client’s primary design objective was to develop a building that conveys to the community a vision of public service, human dignity, permanence, equality in treatment, flexibility, and hope. 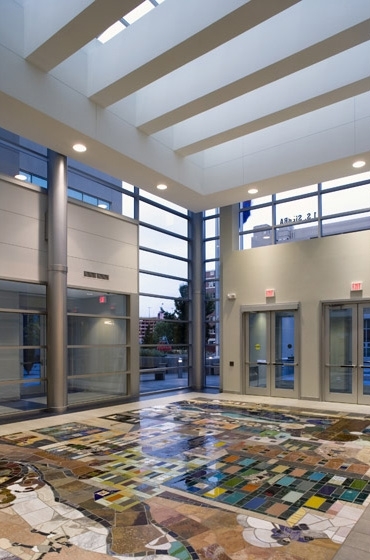 The justice center, which was completed in March 2006, complements and harmonizes with the existing fabric of the downtown cityscape. 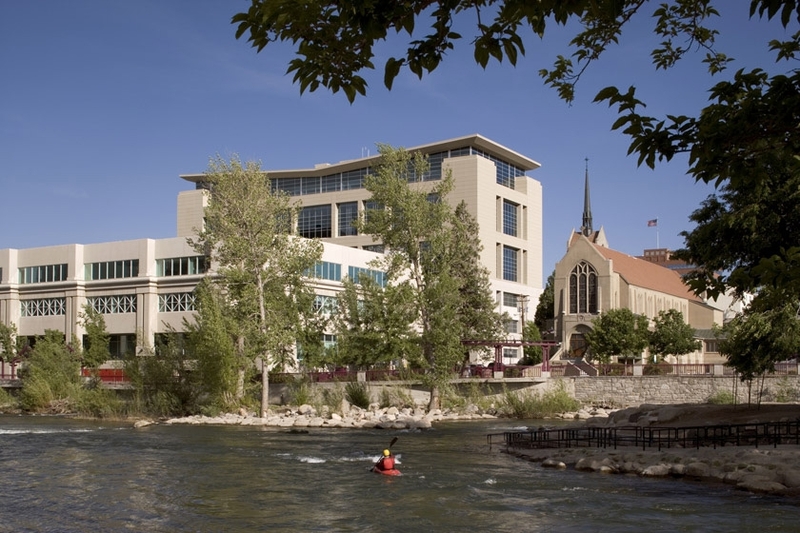 The building is located on a very compact site adjacent to an existing county courts building. In response to this site constraint, a single point of entry was designed that serves both buildings. This shared-use entry has created an identifiable address on Sierra Street that has helped greatly with wayfinding, and also allowed for the consolidation of security screening functions, which has resulted in a significant cost savings to Washoe County and the City of Reno. Incorporating artwork into the project was also a challenge, as the program did not allow for a formal gallery space. Instead, artwork was integrated directly into the building materials. 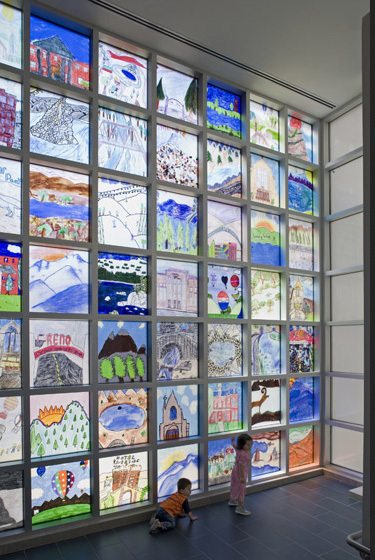 A local artist created a mural on the floor of the main entrance lobby, and Washoe County School District students participated in a contest to design a large glass installation located in the landing of the facility’s main staircase.